I’m sure most, if not all, reading this blog has had a “recurring dream” at one time period in their life. The first one I can remember is when I was stationed overseas while serving in the U.S. Navy. I had this dream once or twice a month. It was usually me on the ground watching a plane crash. I was never on the plane. I’m just watching in horror as it crashes. It was every type of plane you can imagine. I’ve seen everything from the old WWII box car plane to one-engine Cessna’s to huge jet airliners crash in those frightful dreams of many years ago. Those dreams did not cease until I came home in ’74. Then, it was as if someone had erased all data banks of this dream. I’ve never had that dream again. Whenever a plane is flying lower than I think it should, I get very anxious and nervous to this day. I still have this innate feeling that I will someday see a plane crash. I am once again having a recurring dream. I’ve had it for about four months now. I’ve been reluctant to post this because it is so ridiculous. I have been laughed at so much until I don’t mention it any longer to people I know. The dream is usually based on the same thing…I am the only living human being on earth (maybe something to do with the Will Smith movie…maybe). I don’t know what cataclysmic event has taken place to wipe everyone off the earth but me. But, that is the central theme of this dream. Other noteworthy things; there are no bodies lying around anywhere. I don’t know what has happened to everyone. None of the cars will start. No batteries will work in flashlights (I remember trying in one dream). Nothing electrical will work. It’s as if the entire electrical map of earth was literally sucked out. I am riding a bicycle everywhere I go in this dream…the kind that was called a “girl’s bicycle” when I was a kid. Oh, it has a basket on the handlebars also. That comes in handy, apparently, since I am only eating canned goods. Here’s the part that gets everyone in stitches; I live in an igloo dog house on a long country dirt road (go ahead; get your laughing out of the way so we can continue). You know the kind of dog house. It has a long entry part for the dogs to go in and out whenever they wish. There is also a black and white dog living with me named “Jim” (I worry what my beagle Ralph would think). Don’t ask me how I know his name is “Jim” because I don’t know. Here is another interesting thing; I didn’t know what breed this dog was. I knew he was a pure breed. But, I had to look him up on Google. It’s a Boston Terrier. I’m not making any of this up. Jim is a Boston Terrier. 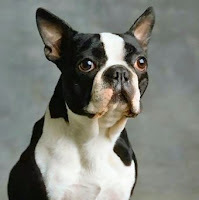 Let me be clear about this…I have never wanted a Boston Terrier. I didn’t even know what it looked like until I found an image of it on Google. 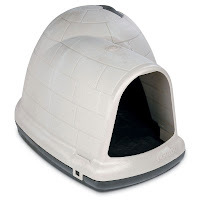 Anyway, the Igloo dog house is between the country dirt road (don’t ask, I don’t know how I know it’s a country road) and a barbed wire fence that I guess kept cows in at one time before everybody and his uncle decided to leave Earth with only me left to turn off the lights. Unfortunately, none of the lights are working in this dream. It’s usually a pretty mundane dream; just me looking for food so Jim and I can survive. We drink water from a stream near our dog house (never mind it may be radioactive for all I know). We go to different towns (all are small towns for some reason…think Mayberry) to search for anything that we can use back at the dog house. It seems that I would be able to live in one of the many uninhabited homes. Not to be. Meanwhile, back at the dog house, it’s usually pretty cramped sleeping quarters with me and Jim. But, Jim doesn’t seem to mind. I remember in one dream I had a shotgun that scares Jim for some reason. Well, I might as well get this part over and done…there is a sinister part of this dream also. This is the part that always wakes me up. Sometimes, in these dreams, there is an unearthly scream from one end of this country dirt road where Jim and I reside. It’s always at night. It is an unholy scream, one that sends chills up and down my back. I have actually woke up with my heart feeling like it is going to pound out of my chest. Jim and I get out of the dog house and look in the direction where this scream is coming. I do remember this…in this dream the nights are always completely black…no moonlight. But, at the end of this dirt road, whatever it is, it is even blacker than the night itself. In my last dream, I take this shotgun and walk toward the direction of this blackness, this ungodly scream (in real life, I’m not quite this dumb). As we begin to walk toward the end of this dark country dirt road (that I can somehow manage to see in the darkness), Jim stops and says, “I wouldn’t do this, David.” Yes, oh yes, Jim the Boston Terrier could talk in the last dream. The damn dog is even smarter than I am. That’s when I woke up. I don’t know what happened after that. Or maybe I don’t want to remember. I’m sure there are some psychologists out there who are going to say I need to make an appointment with them real soon. But, this has happened to me before as I mentioned. There’s nothing bad going on in my life. I’m basically over my divorce, seeing other women. I have a part-time (well, supposed to be part-time) computer maintenance sideline that keeps me busy. There really wasn’t anything going on wrong when I had my first recurring dream back in the early 70s now that I think about it. I was enjoying my life overseas (except for ‘Nam). Anyway, there you have it. I’ve been reluctant to post this. But, maybe I won’t have this dream again after seeing it in print. We’ll see. Or I will anyway. There are many who believe their dreams are telling them something from within. Is the dream telling you something? There are others who beleive dreams are the brains way of filing important information. Then there are those who think dreams don't mean anything and are just nightly "movies". I say grab a bowl of popcorn and enjoy the weird horror flick going on in your mind. Oh, and let us know if you find out who screams. James, not sure why this is happening and why it's happening now. If I was going through critical point in my life, it might make sense. What confounds me is what triggers this sort of thing? I'm having this same dream about twice a month now. The last one was about two weeks ago as i mentioned in the entry. James, it's now WHO is screaming that bothers me in this dream. It's WHAT is screaming that is making me wake up in a cold sweat.